As many as 351 cricketers are set to go under the hammer when the 2016 Indian Premier league (IPL) Players' Auction takes place in Bengaluru on February 6. However, only a maximum of 116 players can be bought at the auction. The full list of players short-listed for the auctions has been released. It includes 130 capped players, 219 uncapped players and two from Associate Nations. Out of these, 230 are Indians and 121 foreigners. The list was trimmed down from the original list of 714 cricketers who had given their names for the IPL auctions. 29 Australian capped cricketers have been short-listed for the auction. They are followed by players from India (26), West Indies (20), South Africa (18), Sri Lanka (16), New Zealand, (9), England (7) and Bangladesh (5). Yuvraj Singh, Kevin Pietersen, Ashish Nehra, Shane Watson, Ishant Sharma, Sanju Samson, Dinesh Karthik, Stuart Binny and Dhawal Kulkarni are among the cricketers who have been listed with a base price of Rs 2 Crore (the highest base price bracket). Yuvraj, who was left out of Delhi Daredevils, had fetched the highest price in the last two IPL auctions. Having returned to the national fold ahead of the ICC World T20, he is likely to attract a high bid in the upcoming auction. Delhi Daredevils, who have released some of their biggest buys from the previous season - Yuvraj Singh and Angelo Mathews have the heaviest purse going into the auction - Rs 37.15 crore. They are followed by Sunrisers Hyderabad, who have Rs 30.15 crore going into the auction. The two new franchises - Rising Pune Super Giants and Rajkot are joint-third on the list with Rs 27 crore each in their kitty. Kings XI Punjab (Rs 23 crore), Royal Challengers Bangalore (Rs 21.625 crore) and Kolkata Knight Riders (Rs 17.95 crore) follow them on the list. Defending champions Mumbai Indians, seem settled with the unit that played last year. They released 10 players from the contract list and have Rs 14.405 crore going into the auction. 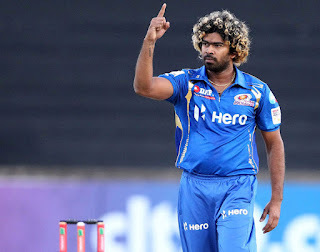 T20 captain Lasith Malinga is the only Sri Lankan retained by a franchise (Mumbai Indians) in the IPL. Mahela Jayawardene, Lahiru Thirimanne, Nuwan Kulasekera, Ajantha Mendis, Sachitra Senanayake, Dushmantha Chameera, Tillakaratne Dilshan, Thisara Perera, Jeevan Mendis, Dilruwan Perera, Shehan Jayasuriya, Dasun Shanaka, Milinda Siriwardana, Isuru Udana, Dilshan Munaweera, Seekkuge Prasanna.